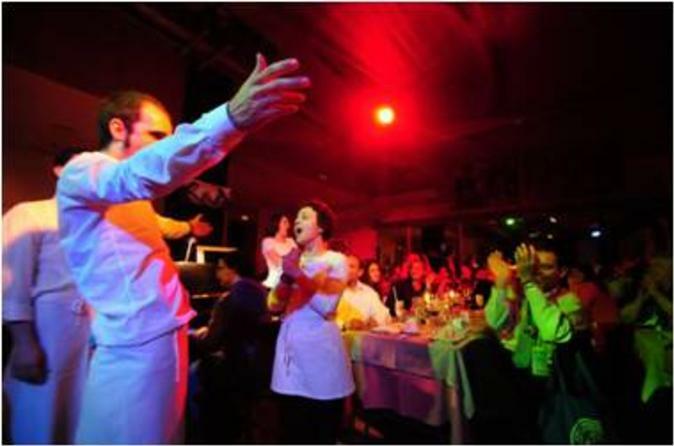 Enjoy a night of opera music and fine food at La Castafiore restaurant in Madrid! Popular for its opera-singing waiting staff, the traditional restaurant has gained a cult following in the city from locals and visitors alike. Enjoy renditions from well-known operas like ‘La Traviata’ plus traditional zarzuelas – comical Spanish opera-style songs – while enjoying a delectable 4-course meal with wine. At a time of your choice, head to La Castafiore, an atmospheric Madrid restaurant tucked away down a little alleyway in the center of town. The intimate and cozy eatery specializes in traditional cuisine, served by opera-singing waiting staff. Take a seat at your table and enjoy a 4-course opera-themed banquet with wine, while enjoying zarzuela – a satirical style of Spanish opera peppered with dialogue and powerful songs. Even if you don’t understand the language, the music is inspiring and instantly recognizable acts from classic operas like La Boheme are included, too. After enjoying dinner, sit back to listen to the grand finale of your evening, a rendition of an act from La Traviata – the world-famous Italian opera by Giuseppe Verdi. Wine: One bottle of house red or white wine per table is included. Beer, soft drinks and water are available at your own expense.